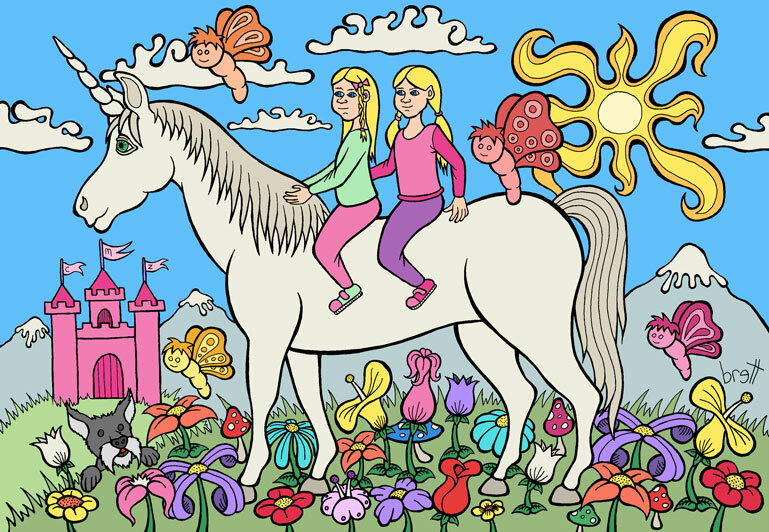 My daughters wanted me to paint them riding a unicorn, with a pink castle, and flowers. How could I say no? They immediately know which one was who and even pointed out our dog Licorice in the corner. 13x19" ballpoint pen on illustration board painted in photoshop.